Herbert E. Kienast, age 76, of Toronto, SD passed away peacefully on March 17, 2019 at Resolute Hospital in New Braunfels, Texas. A Celebration of Life Service will be at 2 p.m. Saturday, April 6, 2019 in the Trinity Lutheran Church with Rev. Michael Enderle officiating. Houseman Funeral Home in Clear Lake, SD is entrusted with the arrangements. Herbert was born in Hendricks, MN to parents Adolph and Clara (Reideger) Kienast on April 1, 1942. He grew up on the family farm in rural Toronto, SD and farmed the land he loved for many years. Throughout his life, he raised beef cattle and spent many years doing carpentry, building houses and pouring concrete. He laid the cornerstone of WELS Trinity Lutheran Church, where he was a committed member. Together with the love of his life, Ilene, he built the house and other out-buildings where they lived and farmed. They were married on February 11, 1984 at Trinity Lutheran Church. They had become snowbirds, going south to Texas Hill country for the past nine years, meeting so many friends that are now considered family. He loved to travel, play pinochle, hunt and fish, and was always excited to get out his guns for some target practice. Reluctantly, he retired from the farming he was so passionate about, this past fall, spending his last winter with his special Texas family. His faith was very strong in knowing and believing in the Savior, Jesus Christ. Church was a very important part of his life. Rain, snow or sleet couldn’t keep him from attending. 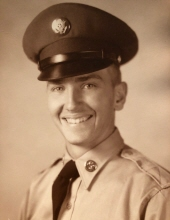 He was a lifelong member of the Erickson-Olson American Legion, Post 81 in Toronto, SD. One of his favorite things was becoming a step-father to Lori. She was the daughter he never had and always wanted. His grandchildren spent so much time with him on the farm, giving him the opportunity to love and teach. Establishing a special bond with Paige (Muffin) and Cassidy (My Cassie). They spent many good times with him on the farm or fishing. In earlier years he had great times playing pool and pinochle with Lori’s three other kids, Brandon, Jamie (Pumpkin) and Logan. In Addition to family, he had established many close relationships with friends that were an important part of his life. Spending countless hours talking to them on the phone, whenever he could. He will be forever loved and missed by his wife Ilene of 38 years; son, Darin Kienast of Omaha NE; step-daughter, Lori Welch, Toronto, SD; step-son, Marc (Terri) Jacobson, Conway SC; step-daughter, Julie (Dean) Baumgard, Chester, SD; son-in-law, Vance Welch, Bemidji MN; step-grandchildren: Brandon (Hannah) Welch, Wahpeton, ND, Jamie Welch, Bemidji, MN, Paige (Jared Caskey) Welch, Clearbrook, MN, twins, Logan Welch, Bemidji, MN and Cassidy Welch, Toronto, SD, Amanda Vojak, Bemidji, MN, Shawna (Margee) Vojak, St. Cloud, MN, Michael Vojak, Bemidji, MN, Mallory Young, Bemidji, MN, Travis Jacobson, Conway, SC, Clinton (Hannah) Jacobson, MI, Jessica Jacobson, Conway, SC, Jerimiah Jacobson and Jessica Rose of Oregon; great-granddaughter, Arya Lynn Welch; and his childhood friend, Daniel McKibben. He was preceded in death by his parents, Aldolph and Clara Kienast; half-sister, Doris Kurkela; grandparents; uncles; aunts; many cousins; and his beloved dogs, Charlie (Carl) and Sophie the Toph. To plant a tree in memory of Herbert E. Kienast, please visit our Tribute Store. "Email Address" would like to share the life celebration of Herbert E. Kienast. Click on the "link" to go to share a favorite memory or leave a condolence message for the family.